Every day small business owners (retailers) make drastic mistakes when selling their business and lose thousands of dollars in the process. All their hard work and long-term investment goes down the drain. These mistakes are often easily avoidable. As entrepreneurs, they had once dreamed of owning their own business and building it to success—to reap the rewards in the form of a successful business sale. Sounds like a great plan! But making the sale is not as easy as it may appear. As an entrepreneur, I have built and sold six businesses including a car rental company, two mini-storage facilities and three retail stores. Now, as an international professional speaker and business consultant, I help other small business owners achieve this same success. Waiting too long or not planning in advance can cause many business owners to miss their window of opportunity. It takes an average of two to four years to sell a small business. Therefore, long-term planning is key to any successful business sale. By keeping updated records, a detailed business history and sales portfolio on hand at all times, it will make your planning pay off. You just never know when that perfect buyer may walk into your business and make you an offer you just can’t refuse. Succession planning is a major misstep by retailers. Even if you do not have a successor who is a relative, you are still thinking like a succession planner. The person “succeeding” you needs to be set up for success. If they see you have been planning and considering this for quite some time and that it’s not a quick “I’ve had enough” sale, your price will be much higher. Add to that the confidence the buyer will have in a retail store purchase if they see there was a strategy for the sale and that it’s not driven out of desperation. Finding the right broker and/or consultant to help you sell your business is crucial to your success. Often business owners go with the first person they meet just to list their business and get the process going. This can cost you time and money in the long run. Within a few months you may see no results and have to go on the search all over again. Taking time to interview many brokers and looking at a realistic outcome of what is expected will get you going in the right direction. In my case, I signed up with the first broker I spoke with. He seemed like the perfect person to sell my business. After all, he had a background in retail (and that was my industry), he was friendly and best of all he came up with a BIG price tag. Unfortunately, it was too good to be true because he was asking too much. By raising the price he got me to sign the contract but never made the sale. After six wasted months without even a lead, I finally decided to move on. Learning from my mistake, I interviewed 12 more brokers before signing another contract. The new broker had a more realistic approach and started to bring me leads within the first month. After becoming frustrated that leads were not developing, I realized that I had to be a promoter of my own business sale. But, the trick was to promote a sale without getting it out in my community, my customer base and my employees. How was I going to do that? Where do I find people who would be interested in purchasing my type of business? After I brainstormed for ideas, I discovered a way to do this. Realizing that my sales associates might make the first contact with someone who was interested in opening a retail store—I went to the source. Again I asked myself the question, “What makes salespeople take action?” Money! So I sat down and wrote a letter explaining why and how I wanted to sell my successful business. I offered a bonus to my sales associates to send me a buyer. Instantly the phone started ringing and more leads came in. Within a couple of weeks, I had created such hype that I had three different buyers working on buying the business at the same time. On the other hand, a business that does not generate profits may do well with a going-out-of-business sale. This type of sale can generate instant cash flow and quick turnover. Too many business owners who have not turned a profit, or have cash flow problems, miss this wonderful opportunity. Some reasons they miss out is due to lost energy and/or motivation or because they may not want to admit defeat or failure. Remember it is business—don’t worry about taking it personally. Look for the most valuable opportunities for your business. 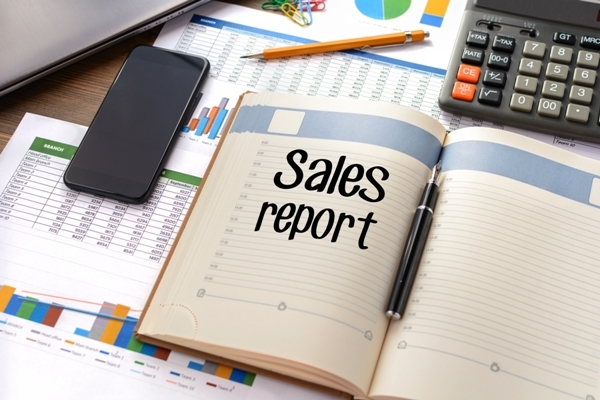 Business sales often go bad after the new owner takes over. The new owner may lack business experience, have a closed mind or be a poor leader. The list goes on and on. A successful business owner makes it look easy, but change that mix and disaster may strike. When this happens, the new owner ends up going out of business and leaves the previous owner holding an empty bag. It saddens me to see a business fail after years of success due to this lack of business sale judgement. Evaluate your options and make the best selection for the long term. Ask yourself, is this the best person to buy and run my business? Or, can they quickly connect with my customer base and learn how to market effectively? When the business sale goes as planned, it creates a tremendous opportunity for both business owners and the success continues..